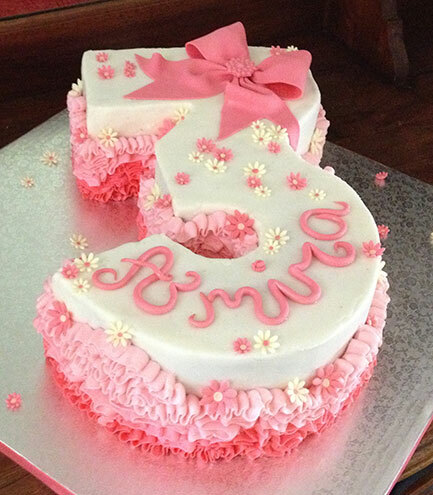 Number 3 cake to celebrate a three year old girl's birthday with buttercream frills and fondant bow. A good idea for a birthday celebration is to have number cakes fit your theme. The variations is endless. Contact us today to book yours.